HP 24f 24-inch full HD (1920 x 1080 @ 60 Hz) ultra-thin design monitor has the static contrast ratio of 1000:1 with the brightness of 300 nits for comfortable and expansive viewing experience. This lightweight micro-edge display with ultra-wide viewing angle of 178 degrees ensures clear picture quality to build a perfect multiple display setup. This IPS panel LED backlight device also contains AMD FreeSync feature and 5 ms gray to gray response time to enjoy a blur and lag free gaming. This plug and play user friendly metal with a matte finish and high-polished monitor has the connectivity of VGA & HDMI ports. 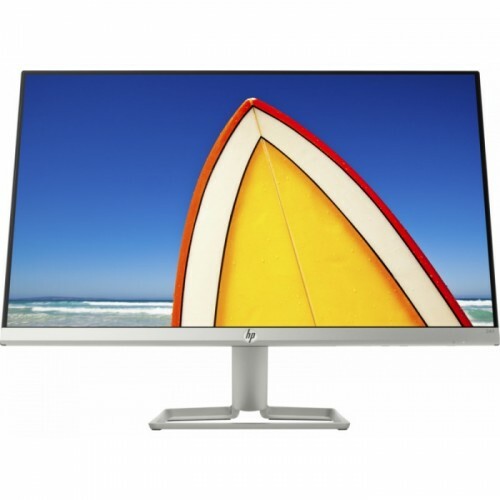 This stylish American brand HP offers this modern look monitor within your budget. Star Tech offers the best price in Dhaka, Rangpur, Chattagram, Khulna & Sylhet for your convenience. Now you have the facility to order at Star Tech online shop and have a fast delivery at any place in Bangladesh.